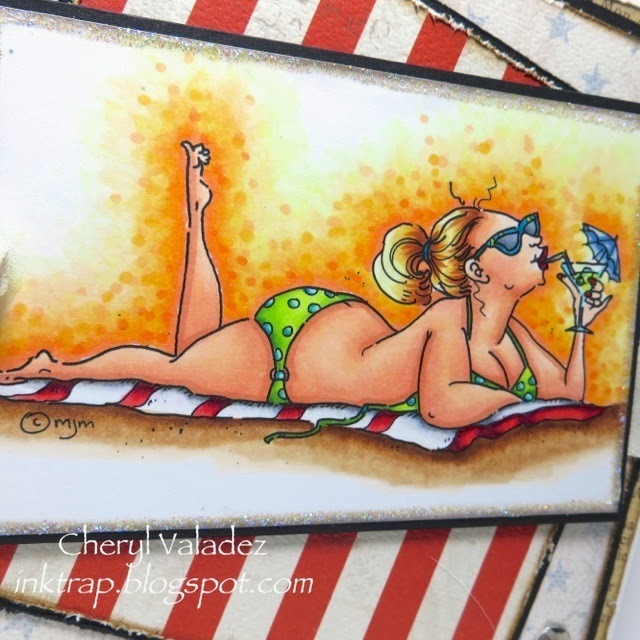 The Ink Trap: Getting Sketchy at Stamping Bella! Hey, all! Back today with a new card for Stamping Bella. 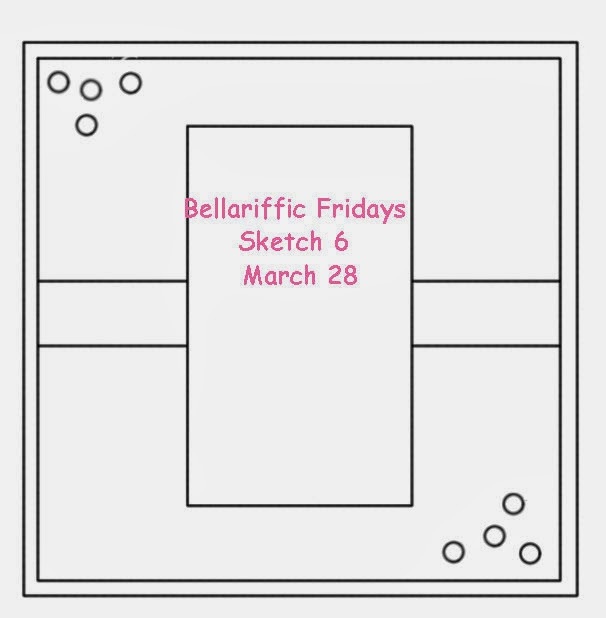 This week we were asked to play with a sketch and you KNOW how I love a sketch! Half the work has already been done for you and all that's left is to pick out paper and color an image. Voila! Anywho, I love this image because it screams Summer. Hot, hot, hot Summer! I can't wait for temps to head skyward and I can feel the sizzling warmth of the sun on my skin every time I step outside. Not that I don't like the cooler weather, I'm just tired of this in between period. Where it's sort of warm and sort of cold. Gimme some heat, baby! Of course, come mid-Summer, I'll be complaining about that, too. It's the way of the world. Back to my card, I took liberties with the sketch and angled some of my layers. I also stayed light on the embellies. I wanted my voluptuous, sunbathing diva to take center stage. Visit the Stamping Bella Shop (Shopabella? LOL!) to see Little Umbrella and a BUNCH of other way awesome images. 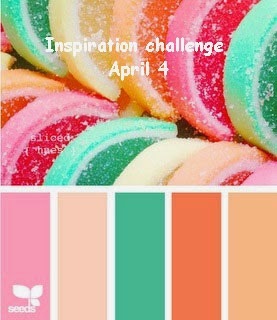 Also, don't forget to play along with the next challenge using this inspiration photo. Look at those delicious colors! I best be scooting'! Until next time, stay crafty! Looked you up from Stamping Bella. Love your work. Beautiful colorful cards and ideas. How did you do your coloring around your Mo image? Copics and colored pencils? Looks very cool and I would love to try. Thanks for sharing! You are right, it's totally summer. I can even hear the sound of the sea... Fabulous card, love it totally. Thank you for an inspiration!